The longstanding no-zero policy in Newfoundland and Labrador schools is no more. The CEO of the English School District recently announced that teachers are once again free to deduct marks for late work and assign marks of zero when work doesn’t come in at all. This is a significant step forward, not only because no-zero policies have proven to be ineffective, but because the English School District has long refused to acknowledge that it had one in place. As recently as 2015, the previous CEO, Darren Pike, told the media that the English School District did not have a no-zero policy. Teachers knew better, of course. That is the reason Newfoundland and Labrador Teachers’ Association never relented in its demand to revoke this misguided policy. 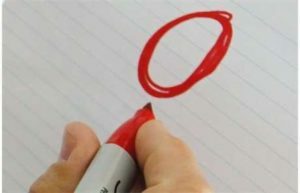 No-zero policies are the brainchild of assessment gurus such as Ken O’Connor and Damian Cooper, who claim that report cards should rigidly separate student behaviour from their academic achievement. Because handing work in late, cheating on assignments, or not submitting an assignment are behaviours, these actions should not have an impact on a student’s final mark in the course. Instead, teachers were expected to deal with these behavioural issues and assign students’ marks only on the work that comes in. Now this might make sense in theory, but anyone who teaches in a real classroom with real students knows that it almost never works. The moment students find out that they can hand in their work anytime or not hand it in at all with no penalty, teacher deadlines become meaningless. Similarly, if the worst consequence for cheating is being required to redo the assignment, then some students will take the risk. After all, they have nothing to lose. To further illustrate the absurdity of no-zero policies, consider what happens in a class where students are expected to hand in ten assignments. Since teachers cannot give zeroes for work that doesn’t come in, students figure out that it makes more sense to pick the assignments they actually submit. Of course, nowhere in the real world do things operate in such a ridiculous manner. Employees are required to complete all of their tasks, not just the ones they like to do. Not only does failure to complete work lead to a loss in pay, employees who act this way quickly find themselves unemployed. Now that the no-zero policy has finally been repealed, Newfoundland and Labrador educators should consider what lessons can be learned from this debacle. The first is that bad education policies have incredible staying power. Newfoundland and Labrador teachers have laboured under the absurd no-zero policy for half a decade. It took years of lobbying from teachers and parents to get the English School District to see the light on this issue. Second, the battle against a misguided policy needs to be waged on two fronts. On one hand, it is important to provide solid reasons why a policy is mistaken. But the other front is in getting a school district to acknowledge that a particular policy even exists. Even though the no-zero policy was as plain as day to teachers, successive CEOs continually denied that the policy existed, which made it difficult to mobilize pressure on the school district. A third lesson is that evidence alone will not result in a policy change. Even when research studies exposed as a house of cards the claims made by assessment gurus, supporters of the no-zero approach remained unfazed. The no-zero policy is finally gone from Newfoundland and Labrador because teachers, parents, journalists, and politicians read the research evidence and spoke out, forcing the school district to make the right decision. Finally, no-zero policies are merely the tip of the iceberg when it comes to misguided educational policies. From rigid inclusion to project-based discovery learning to differentiated instruction, Newfoundland and Labrador teachers are bombarded with bad ideas. Instead of trusting the professional judgment of teachers who read and understand the research literature, school and divisional administrators force teachers to adopt the latest fads. Getting rid of the no-zero policy was a step in the right direction. However, this is no time for teachers and parents to be complacent. There are a whole lot of other misguided educational policies that need to be axed. Let’s hope the pressure continues and meaningful change happens. Michael Zwaagstra is a research fellow with the Atlantic Institute for Market Studies, a public high school teacher, and co-author of What’s Wrong With Our Schools and How We Can Fix Them.